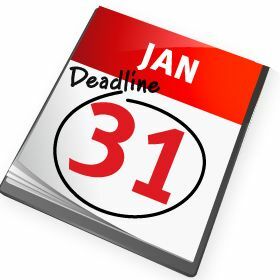 Scholarship applications are due Thursday, January 31. Scholarship applications can be found by clicking here and logging onto your onCampus account. Begin your scholarship application by clicking the link in the yellow bar at the top of your onCampus page that says 1 Form(s) to Review. This link will lead you to the scholarship application. Your application will remain saved in your account until you hit the submit button. All written submissions, including letters of recommendation, can be submitted in one E-mail to scholarship.applications@wlhs.org. After your application has been submitted, you can access your completed application by clicking on the drop down menu next to your name on the blue bar in your onCampus account. Click on Files and Forms. Next to WLHS Scholarship Application 2019-20 click on the blue button that says print. There you will be able to print your application. The links for the scholarship descriptions will be live by clicking on the scholarship name. Please carefully follow any directions regarding specific writing criteria (essays, letters of recommendation, etc) that need to be met. Wisconsin Lutheran partners with Smart Tuition and Smart Aid to process tuition requests. All scholarships with a financial need requirement must have a Smart Aid application on file. Click here to apply for tuition assistance. The deadline to apply for tuition assistance is February 28.